Three bedroom, 1 bath ranch that has been well cared for is low maintenance and close to downtown attractions. Bathroom has been updated as well the 200 amp electric service. 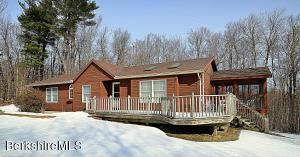 Enjoy the cozy yard from the deck in the summer or relax by the fireplace in the living room in the winter. Come take a look! 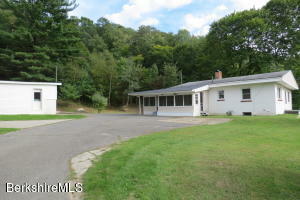 A nice opportunity to own a neat two bedroom ranch with terrific views of Mt Greylock. 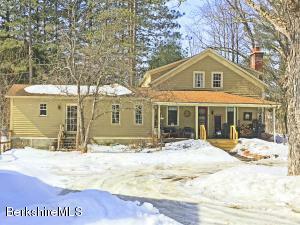 The home is situated on over an acre of land within a short drive to Main Street & commuter Route 8. 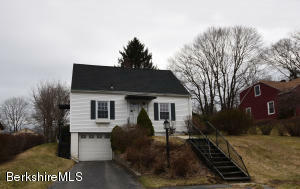 Kitchen comes all appliances included in sale has lots of cabinets & counter space & amazing views of The Mount Greylock Range. Living room is bright with southern exposure & wood burning fireplace. 1st floor laundry. Basement has finishing potential, house has expansion potential! Natural gas heat. 2-car garage. 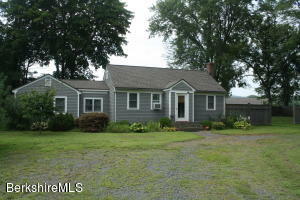 Great southern exposure, large yard with brook & bordering City of North Adams land to the east. 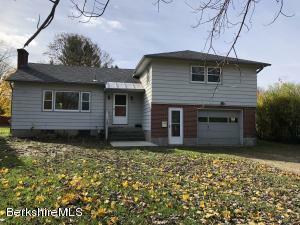 Come check out this wonderful property! Easy to show & ready for immediate sale! Beautiful walk to town colonial. Renovated kitchen and baths. New high efficiency heating and hot water system. Large back yard with river views! Open concept kitchen with light and bright breakfast area. Two full baths. First floor laundry. There is a potential first floor third bedroom that has a door to the front porch. COPEN HOUSE Saturday 1/26 from 10-11:30am. Charm and Character abound in this immaculate side hall Colonial. 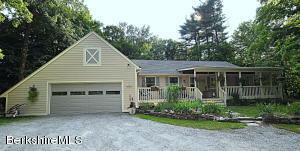 Located right in the heart of the Southeast of Pittsfield. 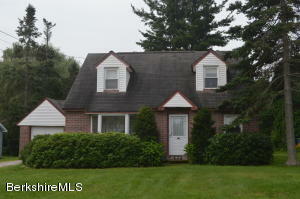 This home has been lovingly maintained and is move in ready. 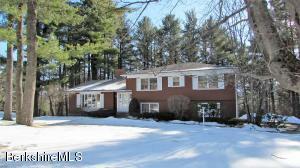 The first floor features refinished hardwood floors, pristine glass doors, an updated kitchen and new 3/4 bath. A large dining room as well as a three season sunroom off the living room. The 2nd floor features three nice sized bedrooms as well as an updated full bathroom. Enjoy the screened in back porch overlooking a semi private yard and patio. 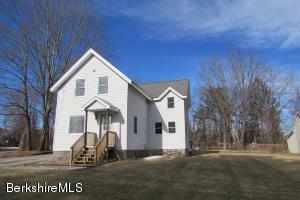 Updates include: Windows 2005, Roof 2005, converted house to gas in 2011 w/ new furnace and hot water heater. This gem is not to be missed!! Contemporary ranch set on almost 7 acres. 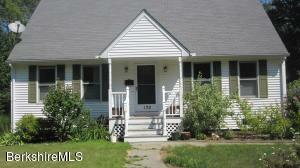 Oversized screen porch, sunny deck, good sized backyard. Cathedral ceilings in the living areas, open floor plan. First floor master suite with private bath and walk in closet. Two more bedrooms and another full bath are on the main level. The walkout lower level features a large family room, with sliding glass door, third bath and a multi purpose guest room/studio etc. Jacobs Pillow dance festival, the town beach on Center Pond, the walking trails at the Historic Becket Quarry and October Mountain lakes are minutes away. 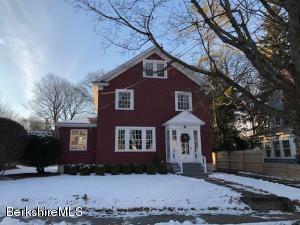 Lovingly cared for 1830's Post and Beam home with cooks kitchen, double oven, butcher block counter tops, 2 sinks, radiant heat in floor. 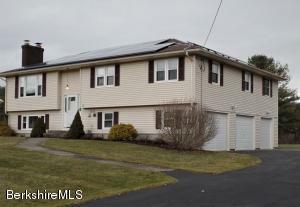 Newer roof, heating system, water heater, electrical. First floor Master with walk-in closet. Large Barn/Garage with finished space and workshop. 2 ponds. Stocked river/swimming hole outside your front door. Fully fenced yard on a dead end road. Mass Save insulated. Architectural details, wood flooring. This is a MUST SEE, you won't be disappointed. 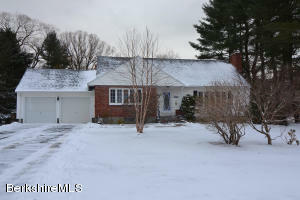 Attractive one level living ranch home with a great private fenced in back yard. 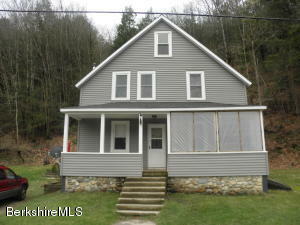 Very sweet 3 bedroom 2 bath home with easy maintenance. Buderus heating system 200 amp service. Storage shed in back. Ready to Move into Large Trova Built Split Level. 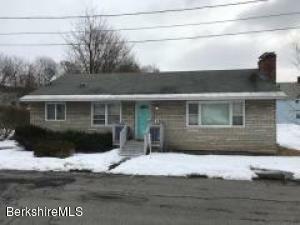 Great Location and Nice lot with privacy. A Lot of House for the Money! Great Buy Come See! 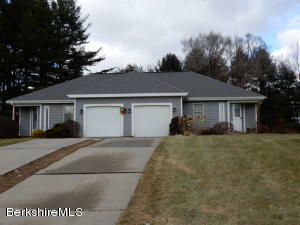 Spacious, updated 4 bedroom/3 bath home on over 1/2 acre in lovely northeast Pittsfield neighborhood--close to shopping. Hardwood floors, large kitchen with cherry cabinets, 2 wood/1 gas fireplaces, walk-out lower-level with family room, bedroom, bath and laundry. 3 mini-split duct air conditioners; large new master bedroom/bath addition with deck; exterior hot tub, new backyard shed with electric service, 3 bay garage--one with electric outlet for charging electric car; solar panels (leased) defrays electric costs; upgraded electric and new panel, new windows throughout, new hot water heater, underground dog fence, fire pit, large back deck. See additional list in MLS. Curtains and blinds in master bedroom do not stay. Note: house is on .57 acres; balance not buildable. READY TO OCCUPY! 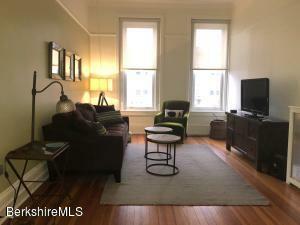 Tastefully renovated 1-bedroom condo in downtown Great Barrington. Spacious rooms, lots of light, high ceilings, tall windows and crown moldings. 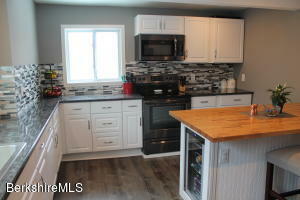 Beautifully updated kitchen with quartz counters, newer appliances and a large counter with seating. Large living room with wood floors & lots of light.. Bathroom has marble sink & tile floor. Condo fee includes heat and water. Elevator building, a must see! LIVE DOWNTOWN! 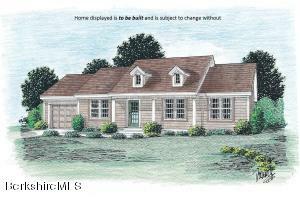 New, Quality, to be built, energy efficient, low maintenance home! You pick all the colors and some finishes. Ranch design offers single level living for comfort & ease of living. Home style can be changed subject to pricing. Pricing and homes are for display only. Prices are based on 2016 build. Lot is available with home MLS #217668. Taxes shown are for land only.